On Sunday, April 16, the first major clay tournament on the ATP tour kicks off. 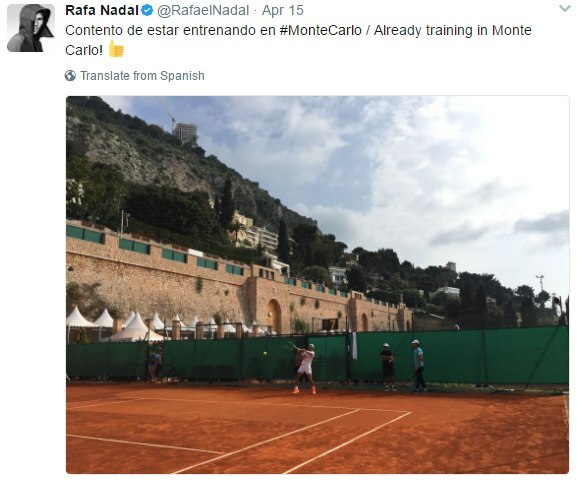 Monte Carlo Masters features fewer contenders of all Masters events. It’s the only non-mandatory Masters tournaments as it counts as one of ATP 500 level tournaments while distributing 1000 ranking points. The weather isn’t very comfortable in France these days.The temperature stays at about 10-15 °C. Rains are not excluded either. The wind is expected to be at about 10-20 kmph. Conditions in Roquebrune-Cap-Martin have also been the slowest on tour and benefit returners. Rafael Nadal has dominated at the tournament so far having triumphed for eight years between 2005 and 2012. The only two other winners are Novak Djokovic (2013 and 2015) and Stan Wawrinka (2014). But for the Monte Carlo previous champions, we’d like to add World No.1 Andy Murray to the list of the favorites. The Scotsman will return on tour after missing the Miami Masters and after the disastrous defeat to the Canadian Vasek Pospisil at the Indian Wells. Nadal, Wawrinka, Murray and Djokovic – someone of the four should lift the title. To be more precise, we expect to see Wawrinka – Nadal final. The Swiss will enjoy a very easy draw up to the semis where he’s likely to face Murray. However, we don’t think that the Brit will be up to his best. As for Nadal, he will be challenged by Alexander Zverev and Novak Djokovic. Considering the current conditions, we would back Nadal against the two. The Serb has lost weight and tenacity significantly, which should affect his performance on slow courts. Lucas Pouille, Jo-Wilfred Tsonga, Alexander Zverev, Marin Cilic and Dominic Thiem are also expected to make a deep run at the event. Sign up for our tips and get profit-driven tips regularly. +20% guaranteed.